TGI’s is probably the most child friendly restaurant in Glasgow. Kids don’t just get their own menu, they are also provided with an activity pack and a balloon from the slightly hyperactive but very friendly and attentive staff. There always seems to be a queue of families waiting to get in at the weekends. Despite the fact that I have heard variable reviews about TGI’s, any time I have been the food has been great. It is always hot, tasty and the portions are huge (especially the starters so if you aren’t mega-hungry I would go easy on those). You are bound to get your fingers sticky at some point during the meal due to the type of food. The fajitas are delicious and the chips are really nicely seasoned. I had the Jack Daniels chicken last time I was there which was succulent and saucy. And the desserts; I’m drooling just thinking about the chocolate fudge fixation! Unpretentious and comfy, with tasty food, fabulous cocktails and great service, TGI’s is a favourite for parties, after work drinks or a nice meal with the family. No matter what day of the week, TGI’s is always busy, so booking in advance is a must or you will have a long wait ahead of you. TGI Fridays is a brilliant place to go either as a family or with friends – atmosphere is always really good, staff are extremely cheerful and helpful. Food is lovely and reasonably priced. For me this restaurant offers a brilliant family atmosphere. The kids love the food & the attention received from the staff. My husband & I get time to relax with a wee glass of wine while the kids are entertained. Occasionally my husband & I will pop in on our owne and enjoy a few cocktails befor meeting up with friends. The atmoshphere in TJI Fridays is phenomanal. Every birthday, anniversary is spent in this restaurant, the service is second to none and the food 10 out of 10. I am a mum to four children and they are always given a warm welcome. On mothers day my mum and I treat ourselves and enjoy not only a three course meal but also a three course menu of wine hee hee. I can not fault this restaurant – I have never needed to complain – everything is clean even the downstairs loos. They sing Happy birthday to the guest of honour which always completes the night for all the family who are fortunate to be spending it with the birthday boy/girl. Quick and Excellent service, food great and the price is reasonable, I had to young children with me and staff couldnt be more helpful and were great with the two wee ones as well, have been several times and would go again. I went to tgi fridays with my friends when i had my new baby boy, they were so very helpful finding us a seat were people didn’t bump into my pram but at the same time i was not pushed away in the corner out the way. The staff were so friendly and helpful i enjoyed the food and the waiter made us a lovely non non-alcoholic cocktail as we couldn’t decide what to have.He was very plesent with my friends young son giving him crayons and paper.I found it a very child friendly restaurant.Me and my friends now go very regularly to have lunch with our children or an adults only night.We always feel welcome. Food is great their nachos and salsa are to die for. U go in with the girls the atmosphere is electric all staff very friendly and the service is second to none.U get lots of crazy cocktails Purple Rain is one of the best. Cocktails best servd in a large jug with several straws for the girls to share. Its a place to go with a care free environment no hassle all set for a great nite out. couldn’t book a table as they don’t take bookings on saturdays so arrived about 7pm and was told waiting time was over an hour, decided to wait as that is what my girlfriend wanted. barely waited 30 minutes and we were buzzed for our table so wait wasn’t bad at all. Food as ever was fantastic-just too much to eat, drinks were fantastic and service was the same. only criticism of the entire meal was that some of the tables are put too close together. No matter whether its my sons birthday(hes 2) or my other half(hes 40!!!) everyone gets a wee cake and a song! The food and service is always fab and the atmostphere is always very upbeat. As a meal out is few and far between these days you want it to be a memorable experience and you get that from tgis. 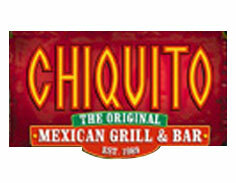 I love this restaurant, its is always full with lovely staff how are very helpfull. The food is amazin and so are their special cocktails. its a great please to go for a drink if you dont want anything to eat. Would defo recommend this place to ANYONE!!!!!! This restraunt is amazing, i would definetly advise anybody to try it out there famous jack daniels sauce is 1 in a million it is very clean and good to take kids if your going out as a family but if your out with that special someone or just ralatives, old friends or even new friends all will enjoy a really nice meal ! The wine is great but i preffer the choice of amazing cocktails they do you havnt lived until you try 1 so yes a really good choice of restraunt to visit. I was at tgi fridays in glasgow last week for my birthday had a great meal, service was fantastic , staff so friendly and filling our refils up constant. food was great and served hot not like some other places i have been. would go back there anytime. I went for a meal with a group of friends to celebrate a birthday. We all ordered different meals and everyone really enjoyed them. The service was really good, and the place was full of energy, everyone was having a good time, the place was buzzing. After our meal we washed them down with a few cocktails and then a few more cocktails. It was a really enjoyable night, and we will do it again soon….